There are two times every year when many people decide to try and lose some weight. The first is January, when people make weight loss their New Year’s Resolution. The second is Spring, when people decide to lose weight so they can look good in swimwear. Whatever your reasons for weight loss are, there are ways to lose weight without going broke. Can’t afford a gym membership right now? Look for ways that you can exercise for free. Some people may be able to take advantage of the gym at the company they work for. Your employer might have an incentive going on that encourages employees to take walks, eat healthier, and lose weight. Other people might be able to use the track at the local high school for free. If the weather is nice, you can go for a bike ride, walk down a bike path, or go for a run outside. There are tons of workout videos all over the internet. You can find plenty of them on YouTube. Many of these videos do not require any specialized workout equipment, so you can do them without having to make a financial investment. For best results, seek out videos that are made by professional instructors or trainers. 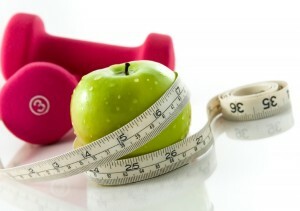 It is possible that your health insurance will cover some types of weight loss services or treatments. Most health plans cover free screening for obesity as part of guaranteed access to free preventable care. WebMD says that if your body mass index (BMI) is over 30, you qualify for free weight loss counseling. Some health insurance plans will cover weight loss medications, or a visit with a nutritionist. The Eat This, Not That! blog suggests that people swap meat for plant protein. Plant based proteins such as legumes (lentils, chickpeas, peas and beans) have been shown to speed up weight loss. Typically, meat is more expensive than vegetables are. Swapping veggies for meat can help you not only lose weight but also save money on your grocery bill. You have already spent money on groceries. Use them up! Take the time to pack a healthy lunch that you can bring to work or school. Fill a reusable bottle with water. This gives you the opportunity to make healthy choices for lunch without having to spend any additional money. It also makes it easier to avoid the fast-food places on your lunch break.